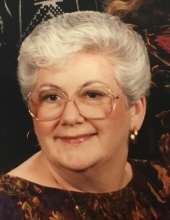 ROUGEMONT: Ms. Mary Gerolyn Leonhardt, 74, passed away on unexpectedly Saturday, February 9, 2019 at her home. She was born in Indiana to the late George O’Neill and Marion Terrence O’Neill. She grew up in Lake Arrowhead, NJ. When she married she moved to Stanhope, NJ and lived there until 1987, when she moved to Rougemont, NC. She was a faithful parishioner at Holy Family Catholic Church in Hillsborough. A memorial service will be held at 2pm, Wednesday, February 13 at Holy Family Catholic Church. To send flowers or a remembrance gift to the family of Mary Gerolyn Leonhardt, please visit our Tribute Store. "Email Address" would like to share the life celebration of Mary Gerolyn Leonhardt. Click on the "link" to go to share a favorite memory or leave a condolence message for the family.